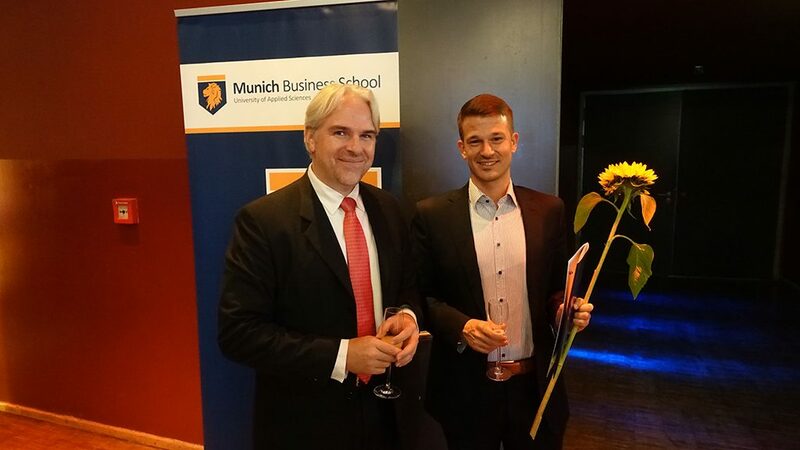 Each year in September, Munich Business School (MBS) welcomes its new students with the traditional MBS Semester Opening event. 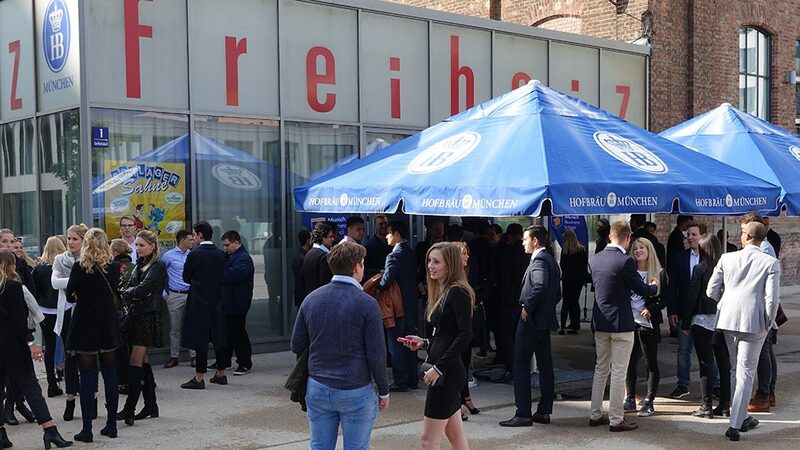 This year, the freshman students came together on Thursday, September 7, in the Freiheizhalle event location in the center of Munich to celebrate the start of their studies with MBS lecturers and staff. 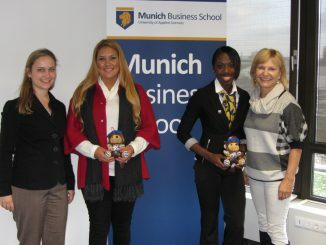 The international exchange students who spend their semester abroad at MBS joined the event, as well. 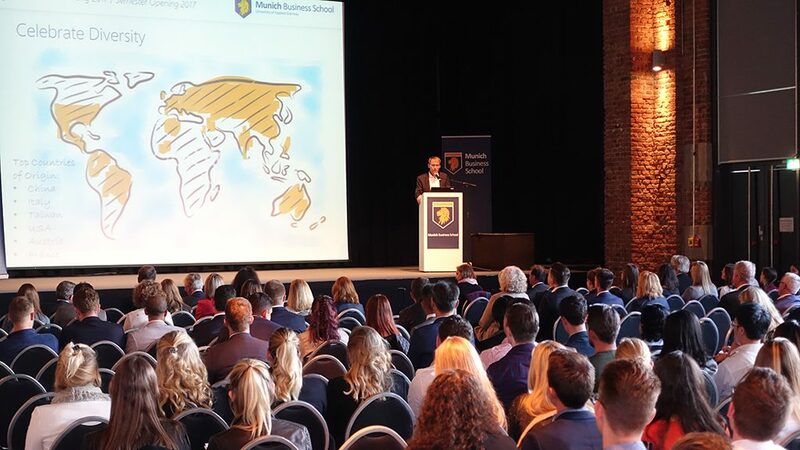 In a festive atmosphere, Prof. Dr. Stefan Baldi, Dean of MBS, welcomed the freshmen of the Bachelor International Business, Master International Business, Master Sports Business and Communication, MBA General Management and MBA International Management study programs. In his welcoming speech, Prof. Dr. Baldi referred to the fact that half of all first-year students at MBS, by now, come from abroad. The first-semesters, which this year are natives of 39 different nations, are an impressive proof of MBS’ international orientation. 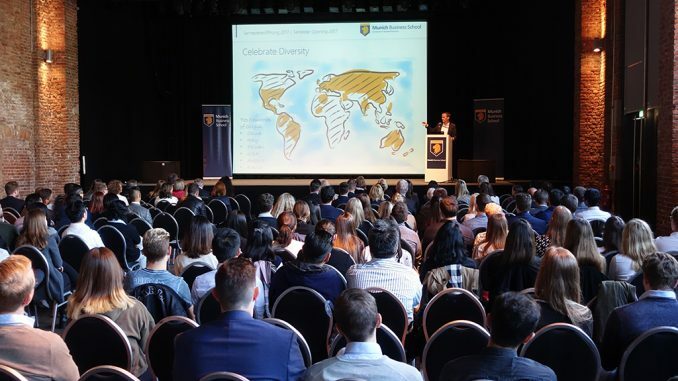 Prof. Dr. Baldi’s welcome address was followed by the eagerly awaited keynote speech by Dr. Alfred Gossner, the new President of Munich Business School. The central questions of his inspiring lecture were: What can students expect from their scientific work – and thus from the sciences themselves? And what should they keep in mind in order to benefit in later life from dealing with sciences now? 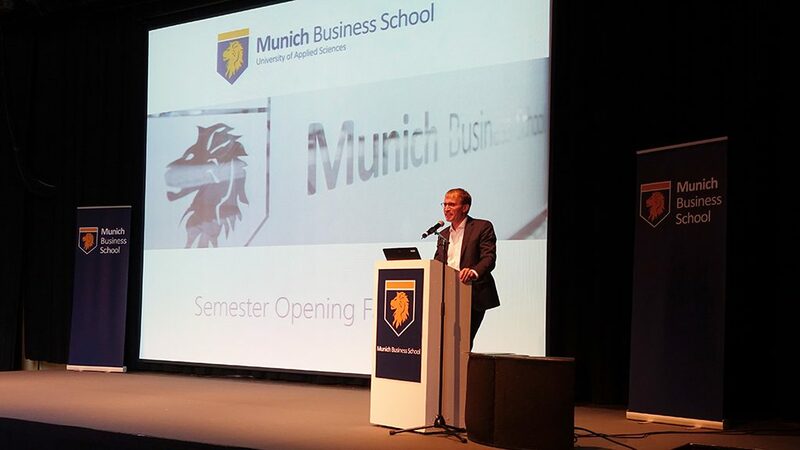 Dr. Alfred Gossner, President of Munich Business School, held the keynote speech of the MBS Semester Opening 2017. 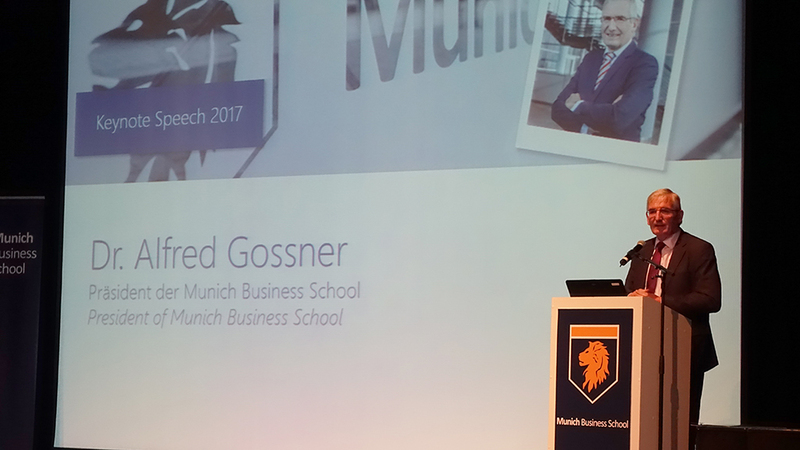 Dr. Gossner concluded his speech with the wish that the students – following the holistic approach of personality development pursued at MBS – should evolve into decision- and action-oriented personalities who are capable of and willing to assume responsibility on the basis of well-founded and lived values as well as professional expertise. In this sense, they should understand their studies. 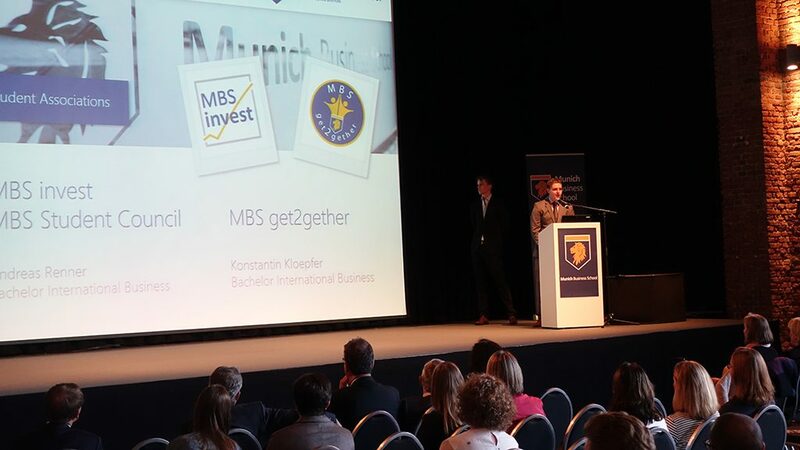 Afterwards, two MBS students entered the stage: Andreas Renner, member of the MBS Student Council, presented the work of the organization. 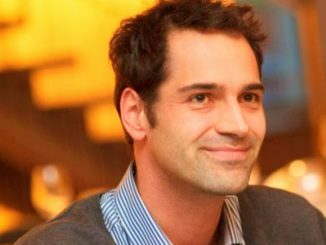 He was followed by Konstantin Kloepfer, who introduced the student associations of MBS, especially MBS get2gether. 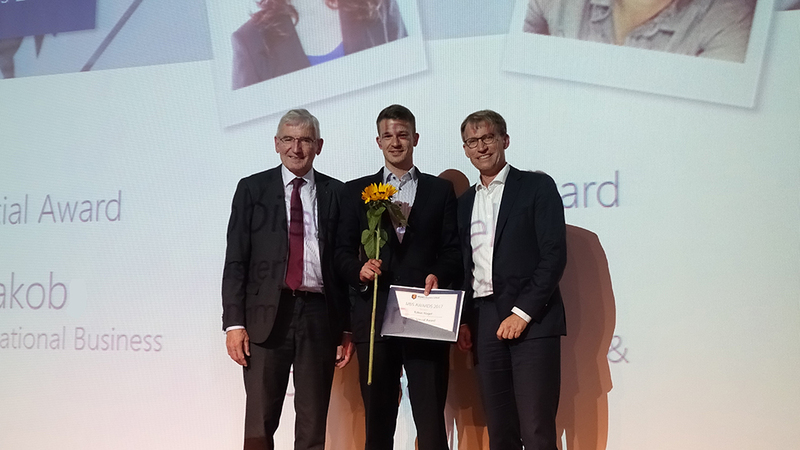 Tobias Nagel (center), Master Sports Business and Communication student, was awarded with the MBS Special Award. 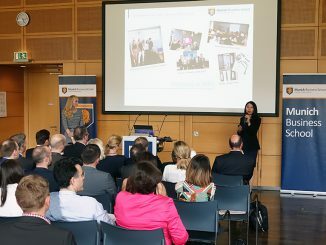 The MBS Semester Opening 2017 was concluded by the presentation of the MBS Awards, which are awarded to students who have shown particular commitment during their studies – for example as student representatives or as ambassadors of MBS. 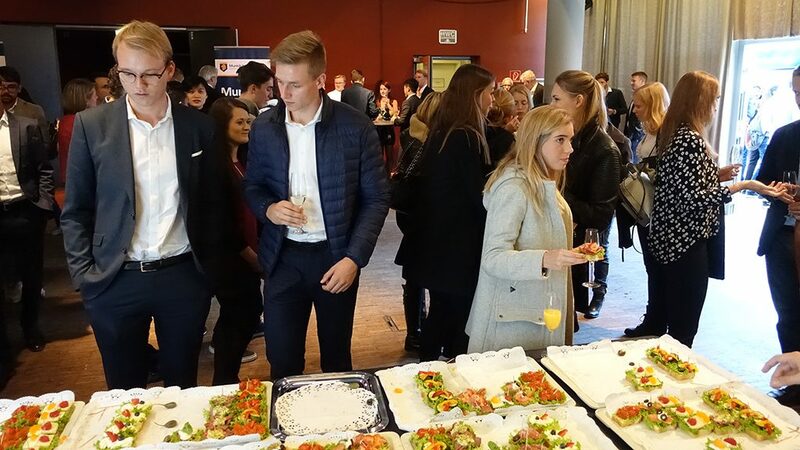 After the end of the official part, the freshmen as well as the international exchange students, MBS lecturers and staff ended the afternoon with a get-together over a glass of champagne.